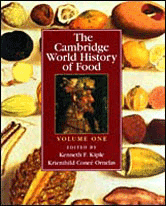 Ranging from the eating habits of our prehistoric ancestors to food-related policy issues we face today, this work covers the full spectrum of foods that have been hunted, gathered, cultivated, and domesticated; their nutritional makeup and uses; and their impact on cultures and demography. It offers a geographical perspective on the history and culture of food and drink and takes up subjects from food fads, prejudices, and taboos to questions of food toxins, additives, labeling, and entitlements. It culminates in a dictionary that identifies and sketches out brief histories of plant foods mentioned in the text and additionally supplies thousands of common names and synonyms for those foods.